January’s Science Mind of the Month, Alexander Frey, is a huge fan of Lego’s and Coding. Alexander has been attending Science Cosmos alongside his sister since early 2015. Thanks to his desire to finish his projects, he has been able to complete curriculums that are beyond his age group. 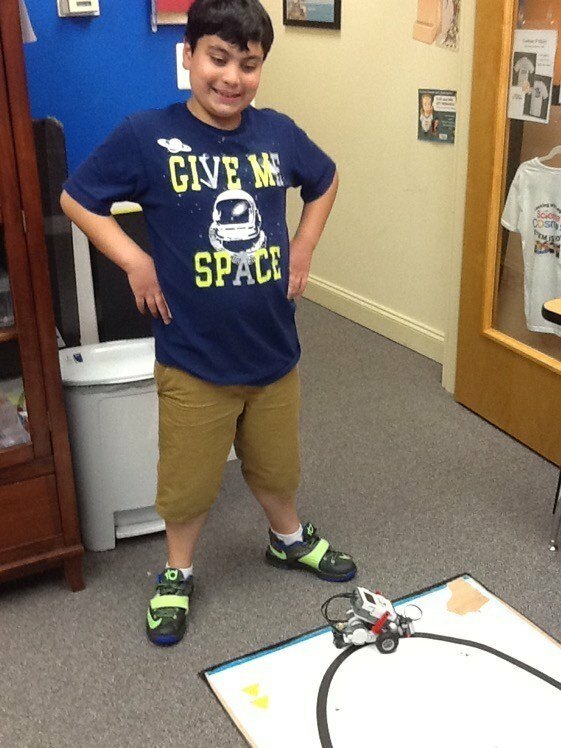 Alexander says his favorite project was the “hammer” in Intermediate STEM because “it was fun to build with all the many pieces”. 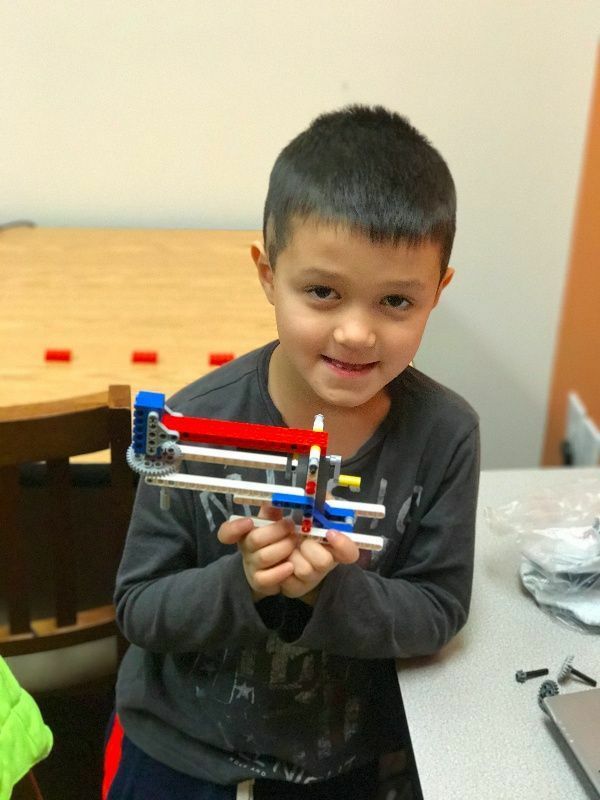 His ability to work on both STEM and Coding during his weekly classes has allowed Alexander to become comfortable with two essentials parts of our program. 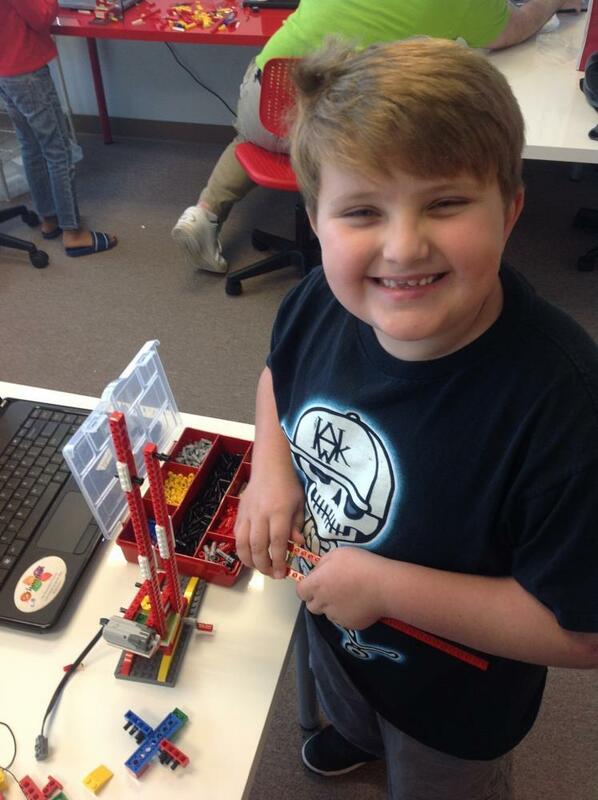 He is close to finishing Intermediate STEM and will have the opportunity to work on more advanced coding curriculums! Alexander is a joy to have in the classroom and we hope to continue seeing him grow here at Science Cosmos! Watch the animation below explaining how to check for your local center's Holiday and emergency closure announcements. Carmelo Nguyen, an independent and motivated student, is our Science Mind of the Month for September in Chantilly. Carmelo has been attending our program for almost 2 years! During his time here he has been able to fly by curriculums such as Intro STEM, Introductory Robotics, Intermediate STEM, and NXT. 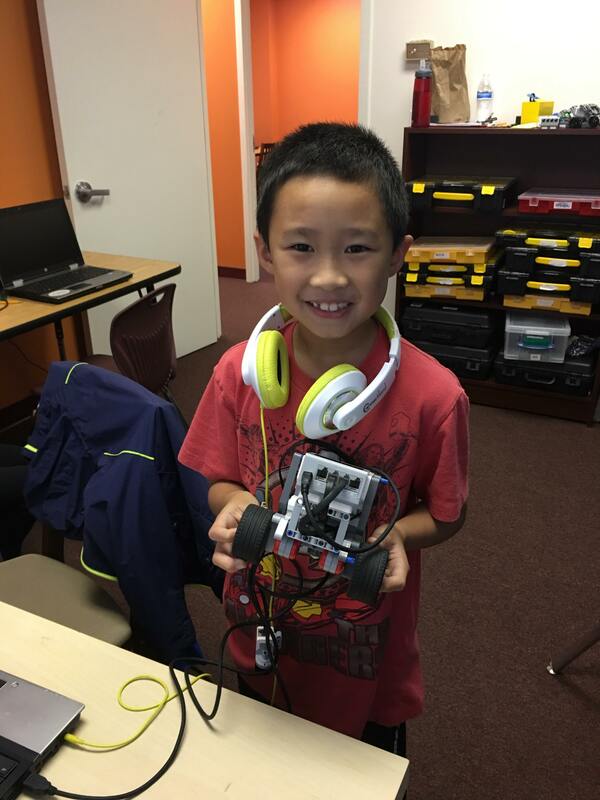 While currently working on the EV3 curriculum, he is now mastering the various sensors involved with this robot. 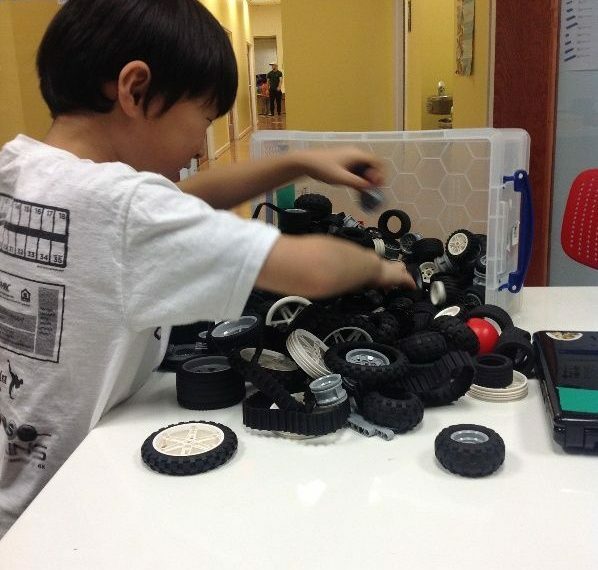 Carmelo is an avid fan of cars, which can be seen by his style of programming and robot designs. His determination to proceed to a higher level has allowed him to be a model student in our program. Carmelo has been a joy to have in the classroom and we look forward to seeing him excel in the years to come! Krish Behera, an independent and fun-loving neutron, is our Science Mind of the Month for September! Over the course of the last year Krish has explored physics and engineering principles as part of the Intermediate STEM curriculum. Notable projects he has completed include the inclined plane and his favorite project, the trundle wheel. When asked why he likes coming to class Krish said, “I love to build Legos and I try to learn new Lego building skills so that I can build anything”. 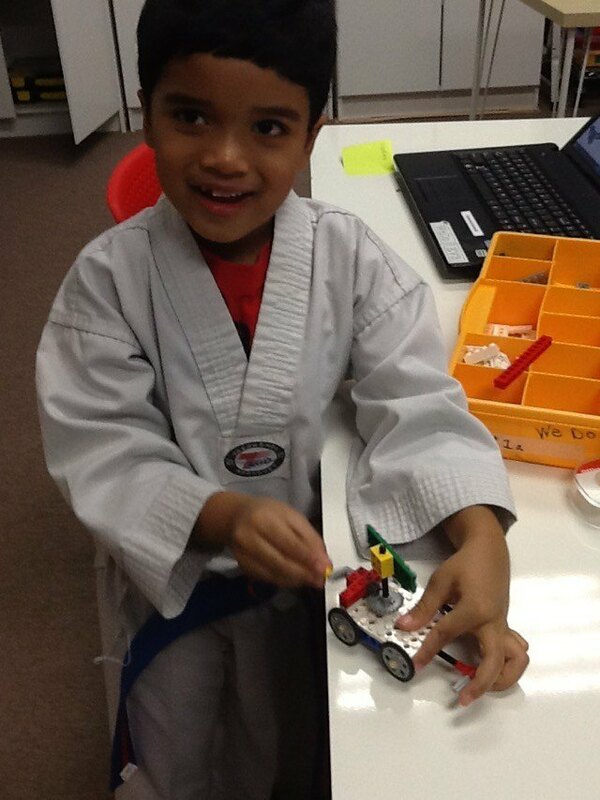 One day Krish hopes to put his lego building skills to work as a Lego engineer who creates new Lego robotics projects. One idea he has is to create a remote controlled Lego train. Krish’s parents bring Krish to Science Cosmos so, “he can learn new Lego Robotics techniques and build more advanced projects when he grows older. We look forward to many more great ideas from Krish in the future! A Science Mind who reaches for the stars! Simar Malhi is a long time member of the Science Cosmos family and our Science Mind of the month for August! Simar started as a Neutron 2 years ago where she mastered the intermediate STEM and Pneumatics curriculum. Intermediate STEM taught her concepts of potential and kinetic energy and renewable energy sources. The Pneumatics curriculum included Simar’s favorite project, A scarecrow that moves via pressurized air. 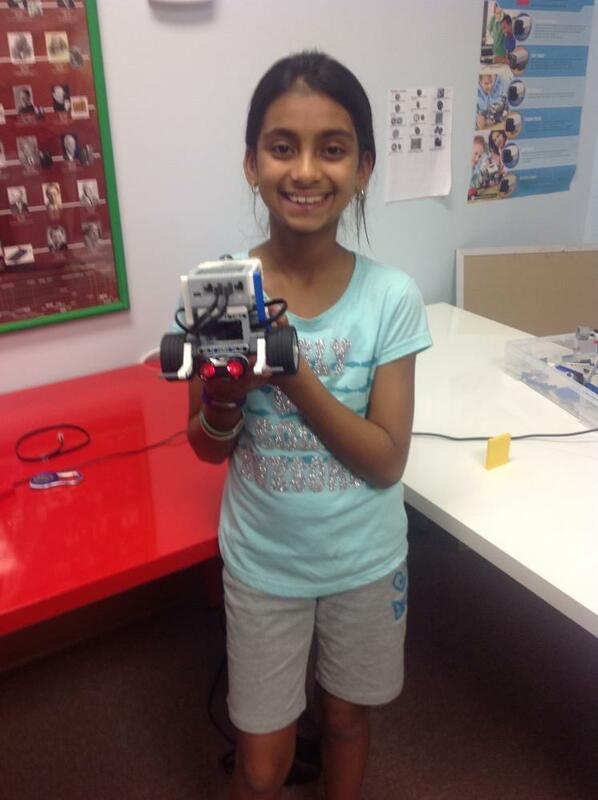 More recently Simar has focused more on programming as she learned to control the NXT and Ev3. Simar faces even the most difficult programming challenges with cheerfulness and a smile. 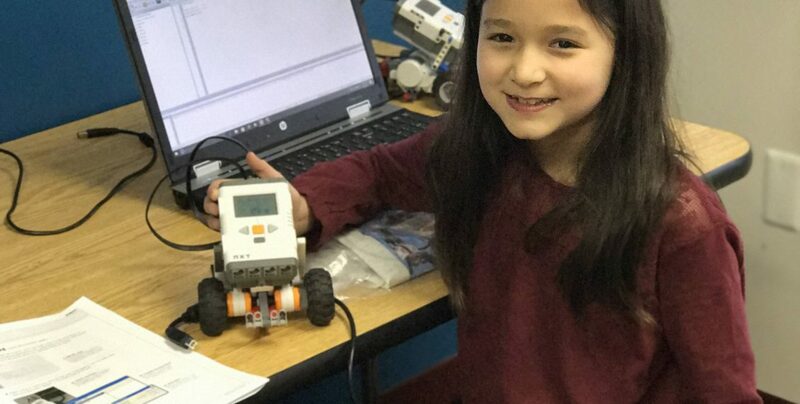 With this approach she has crafted Ev3 programs that detect and avoid obstacles. Her most recent challenges test her ability to program simultaneous tasks and integrate inputs from multiple sensors. Simar is a very talented 9 year old who enjoys programming and robotics. One day she hopes to turn this passion into a career as a NASA engineer. 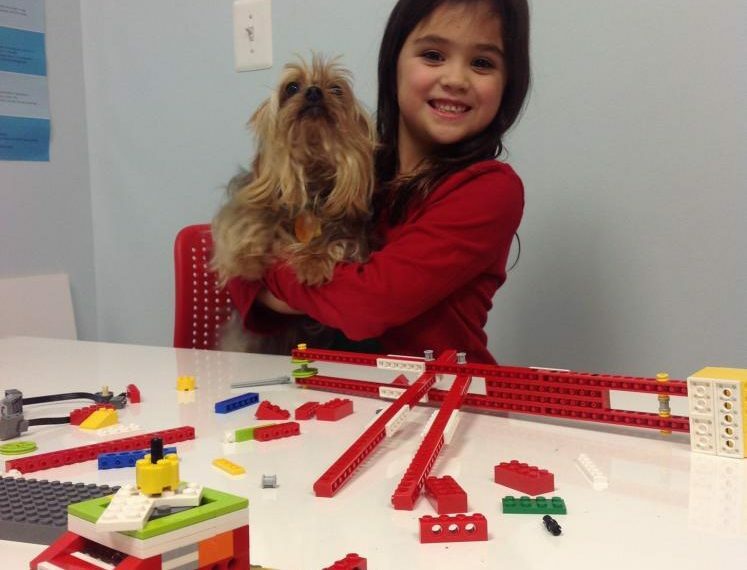 Rasa has been attending classes at Science Cosmos for over a year and continues to enjoy the program! His passion for learning has allowed him to complete many of our advanced curriculums. Serving as a model for students at our center, Rasa is a joy to have in the classroom. We hope to continue having Rasa in our programs for years to come!